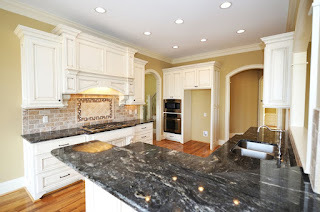 H & H Countertops, Inc. combines over sixteen years of experience with state-of-the-art fabrication and installation techniques. Our years of experience allow us to provide you with the highest quality granite and engineered quartz countertops in your home or business. We offer 2cm and 3cm in both granite and engineered quartz in various colors and patterns. Installation & Fabrication $24.99 per square ft. Entry level Granite colors starting at $6.95 with purchase of 45 sq.ft or less. (Price includes : 3 edge choices, fabrication and installation) with purchase of 45 SqFt or less. Price for the Granite or Quartz is not included. Cannot be combined with other offers. Restrictions May Apply. Subject to change without notice.